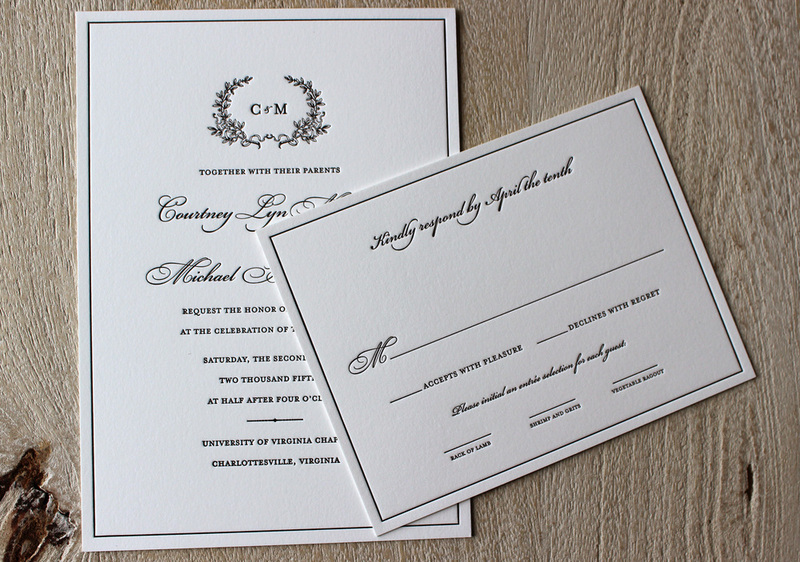 We've added a new New York City invitation to our wedding collection. This set pulls elements from vintage maps, iconic landmarks and every day life in the city. This design proves that even pigeons can be sweet when letterpressed in gold ink. We think the combination of elements, in classic black and gold ink, makes a really lovely NYC themed invitation suite! Love the design, but live in another city? 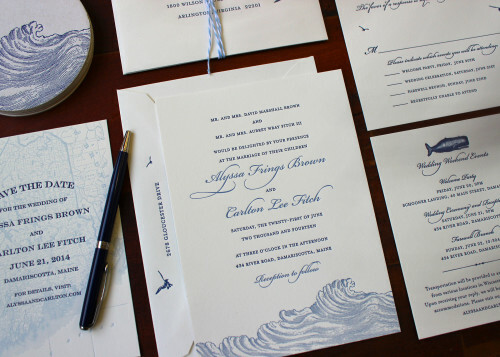 We can customized these invitations for your location, too. If you're interested, email us the details and we'll find iconic images that reflect your city. We're loving rich black ink these days. Here is a beautiful design by Erin Hall of Hall & Co. 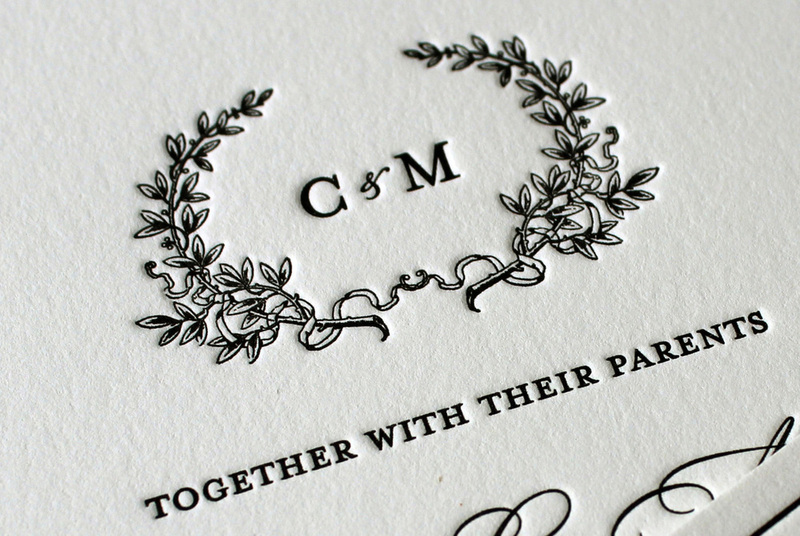 The cards are duplexed, black and white stock, with rich black and matte gold letterpress. The playful script in this logo is such a fun example of hand-lettering. This is a business card that you'll want to hold onto! We don't know about you, but here in Brooklyn we're ready for spring. The thrill of historic snowstorms has come and gone and all we're left with are icy sidewalks and bitterly cold temperatures. Here are a few bright projects that we've printed recently that have us thinking of the blue skies and sunny days ahead. Hopefully these bright images bring a little sunshine to your day or at least a smile to your face! We've been working with Chalk, a marketing and branding firm here in NYC for a couple of years. They recently asked us to print some of their redesigned business cards and we were impressed by how well they turned out. The bold indigo banner contrasts the bright white paper, making their logo quite striking. It's always fun to bring another designer's vision to life, especially when it is as eye-catching as this. These letterpress business cards were a challenge to print, but will certainly make a good impression on their clients. This invitation suite is one of our favorite styles as it incorporates a rustic theme with an elegant design, befitting a wedding. 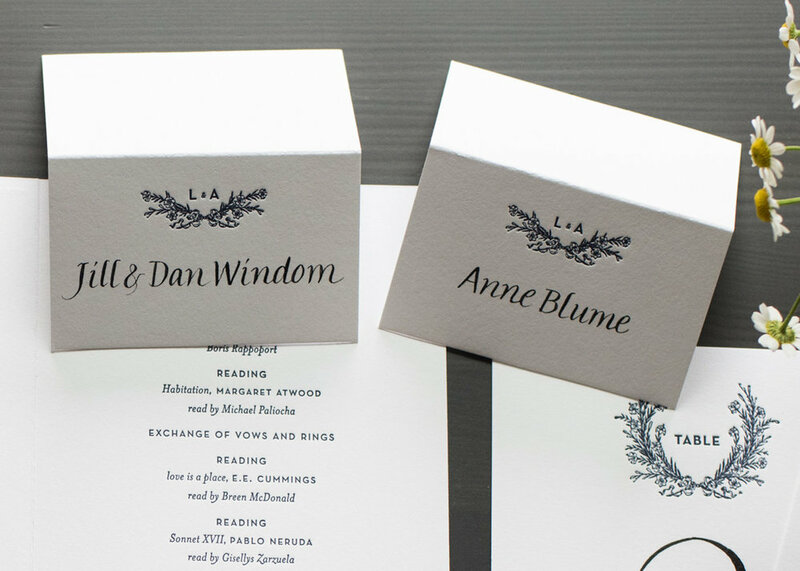 All the pieces are printed in a charcoal gray which gives the set a formal appearance. 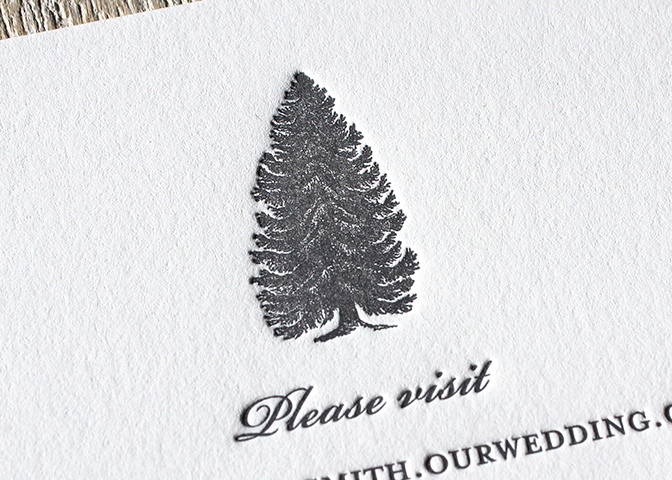 The pine cones on the information card accentuated the rural nature of their winter wedding. The bride and groom wanted their wedding suite to reflect their bucolic venue. The Cork Factory Hotel is in historic downtown Lancaster, PA in a building that once housed a cork and glass company. 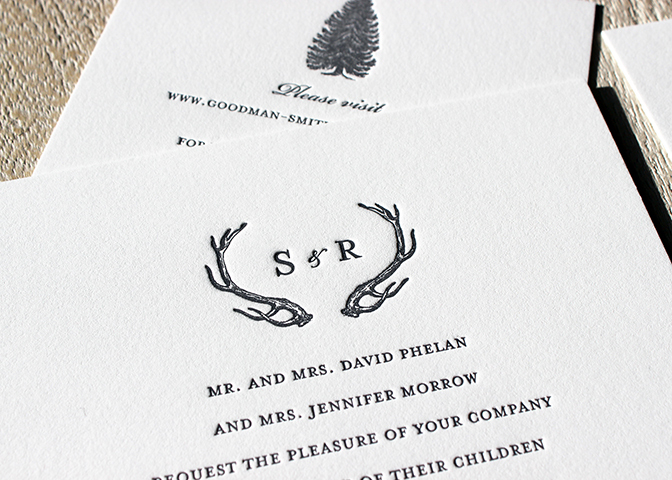 We can just imagine relaxing cozily by a fire, in between the ceremony and the reception, with a hot toddy in hand. What a wonderful way to spend a December weekend! 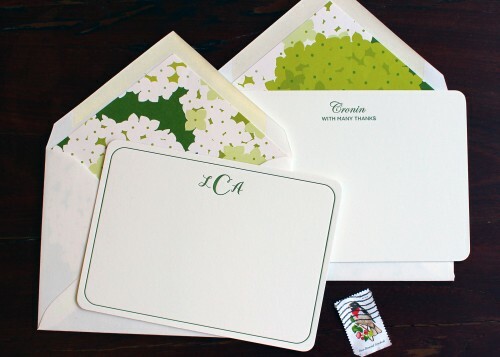 We printed this set for an Italian couple and we adore the unusual motif of a little ladybug. We are big fans of unexpected designs and layouts. The crisp red ink is beautifully vibrant against a neutral gray and the non-cursive fonts work so well with the whole layout. 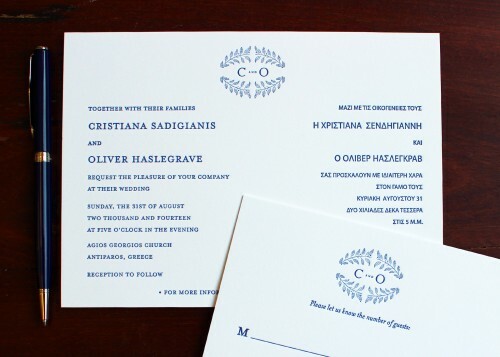 Elena and Fabio also asked us to print some personal stationery for them. We repeated the ladybug illustration to add an element of continuity. 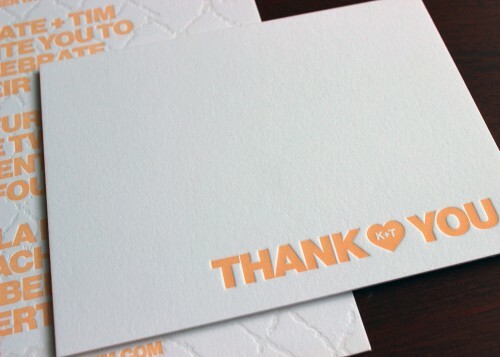 The couple can use these as thank you notes for wedding gifts and then as cards throughout their marriage. 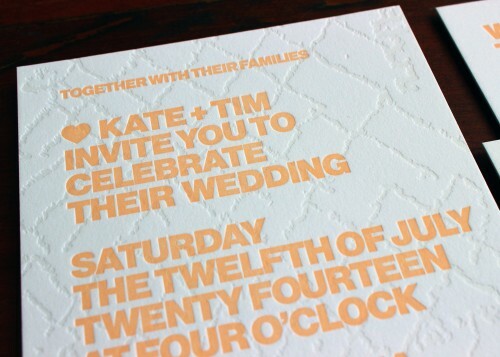 Designing and printing social stationery is one of our favorite tasks here at Sesame. It's a great opportunity for clients to display their individual style. We printed some really sweet notecards for a little girl and we love how the rabbit illustration looks next to her name. The font is whimsical yet elegant and the ink color veers away from being gender-specific while still looking warm and pretty. We hope you enjoy your stationery, Lola!